If you’re asking yourself who Alfred Dunhill is or, since you are from Italy are used to link his name exclusively with high quality tobacco products, you might make a big mistake. This english man from Hornsey, Middlesex, is regarded to as the forefather of modern luxury accessories for men. Not only has he been the man behind the “ Windshield Pipe ”, to allow motorists to smoke while driving but, 1890 on wards, a business man who created some of the coolest car luxury accessories under the Dunhill’s Motorities badge, just to cite a few. 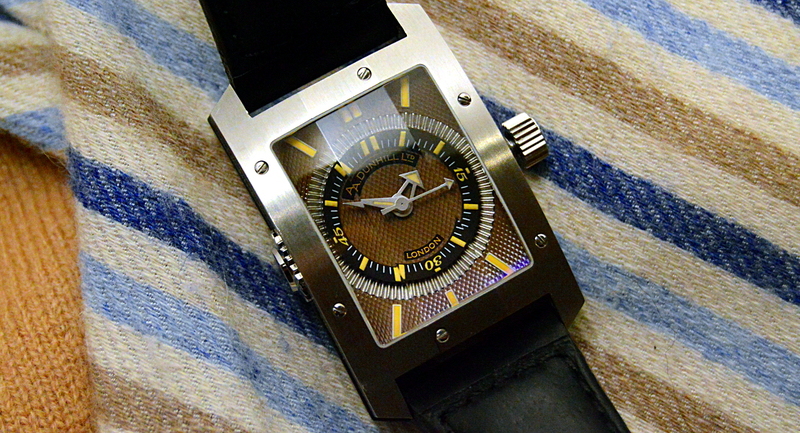 The same badge used by the brand to launch, some years ago, the Dunhill City-Fighter , a renewed version of the facet watch replica unveiled in 1936.